Bethan Blakeley looks back on the EARL conference in London and the things she learnt. 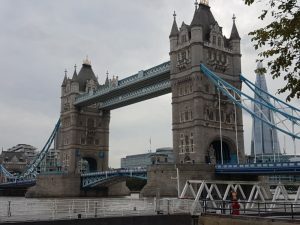 I recently attended the EARL conference in London, which, I won’t lie, I just had to Google – turns out it stands for the Enterprise Applications of the R Language conference. Nope, I’m still not sure I understand it either. But don’t let that put you off. EARL is a two-day event full of talks from data professionals showcasing their work using the R language. I admit to having a love-hate relationship with R; I love the things it allows me to do, I hate that I can spend two hours debugging my code only to find a rogue comma somewhere it shouldn’t have been. Following the event, I thought I’d spend some time reflecting on the conference this year, and share some of the things I learnt (I can’t guarantee these are the things I was meant to have learnt during the conference). It might be because I’m obsessed with goals, and tracking, and lists (I could go on but this probably isn’t the time or place), but I like to go in with small, achievable, objectives. Mine this year were to make a valuable connection, find something I wanted to look into further, and ask a speaker a question. I am a self-proclaimed rubbish networker. You hear over and over again about how important networking is, and since forcing myself to jump in and do it, I actually agree. Yes, most of the connections you make will be useless and last all of ten minutes. But already, some of the connections I’ve made have improved my work, improved my knowledge, and improved the possibilities of what I want to achieve. No matter how painful it is – talk to people! Not just hard, but really hard. Your mind is being pulled along in various directions at a hundred miles an hour, and each 20-30 minutes, you suddenly swap, and jump into another completely different talk. Yes, I will usually end up in bed by 9:30pm with my mind racing. No, I’m not ashamed of it. If you have something interesting to say to them, or a valid question to ask them, chances are they’ll want to hear it. You’re not inconveniencing them. So do it. It’s not stealing or borrowing – it’s collaboration. Do it. Conferences like this, I’ve found, are perfect for finding people that have similar challenges to you and are struggling with the same steps you are. Even more so with an open source commodity like R; people love showing off how they’ve used it and how you could do the same thing! Pick their brains. Steal, beg, borrow, and pilfer ideas, solutions, and approaches. What is it about stands at events that have me excited about taking stuff I normally wouldn’t be bothered about in the slightest? Good haul this year, (I took home a toy cat and an “I <3 data” mug), and there was gluten free food-a-plenty! Happy Bethan. There is a reason you’re here. You have just as much right as anyone else to be here. Get involved. Enjoy it. Another cheesy one you hear all the time, but again, true. Sometimes, the best sessions are when you just can’t be bothered to move into the room next door so you stay where you are and listen to something you didn’t plan to. All in all, it was a decent event. Yes, there were the common annoyances – too many sales pitches from speakers (I kid you not, at one point I even heard “if your logo isn’t on this slide, then come and speak to me at the end!”), and not enough females on the panel. But, the organisers were open to hearing constructive criticism. The whole thing ran like a well-oiled machine, and the content and speakers on the agenda were interesting, thought-provoking, and inspiring. I’ll be seeing you again next year EARL. Perhaps as one of the speakers this time? !